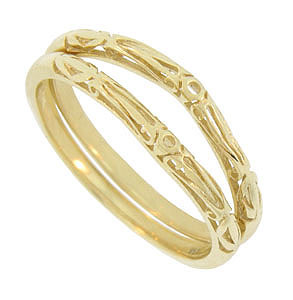 A bold cut work floral design decorates these 14K yellow gold curved wedding band brackets. 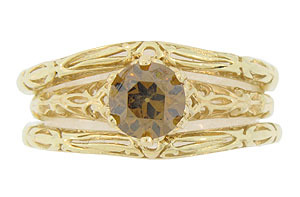 Designed to serve as wedding bands and as the perfect complements to engagement rings, the bands are pictured here with R2886 (sold separately). 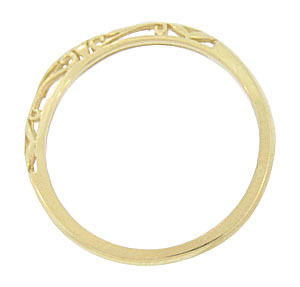 Each curved band measures approximately 3 mm in width. Size: 6 1/2. We can re-size. 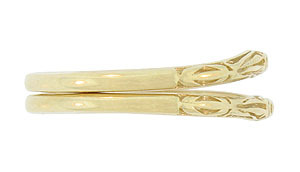 The bands are frequently purchased as a set for $530.00 but they are also available individually.